I never thought much about watches. They tell, more specifically indicate what time it is and you know where you are at which specific time at the moment you are checking it. Cheap and sturdy used to be enough. Numbers are easy to read, yeah that will do just fine. 20 Euros for a working watch that you do not really notice until you have to check the time, good enough for the old me. Some months ago my best friend gave me a watch. I gratefully accepted and he told me about his interest for these devices. After a few weeks I started to understand him. He gave me a Steinhart Submariner, not the exact same as the old Rolex but very similar. 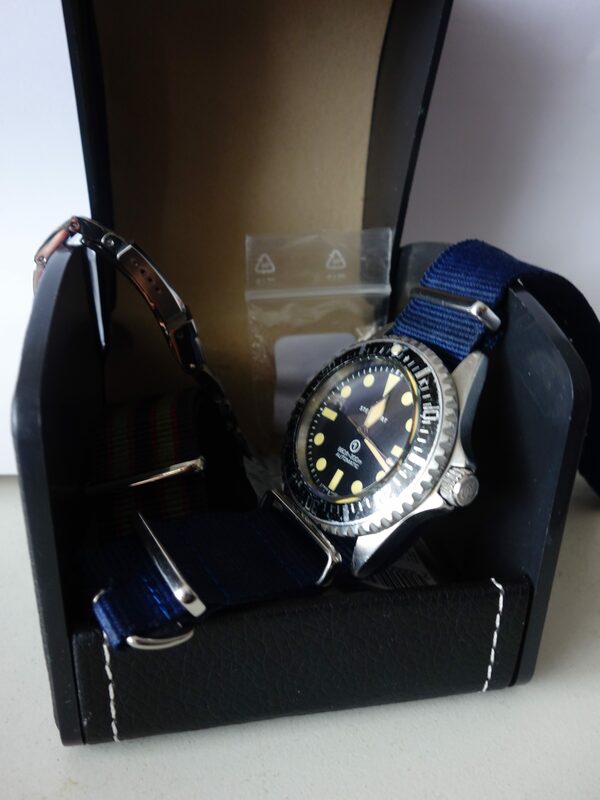 Rolex no longer makes this particular model and Steinhart can make a retro re-issue. Here is the thing, brands mean very little to me. I only want things that work. What made me understand my friend was not the story about the brands and their models. 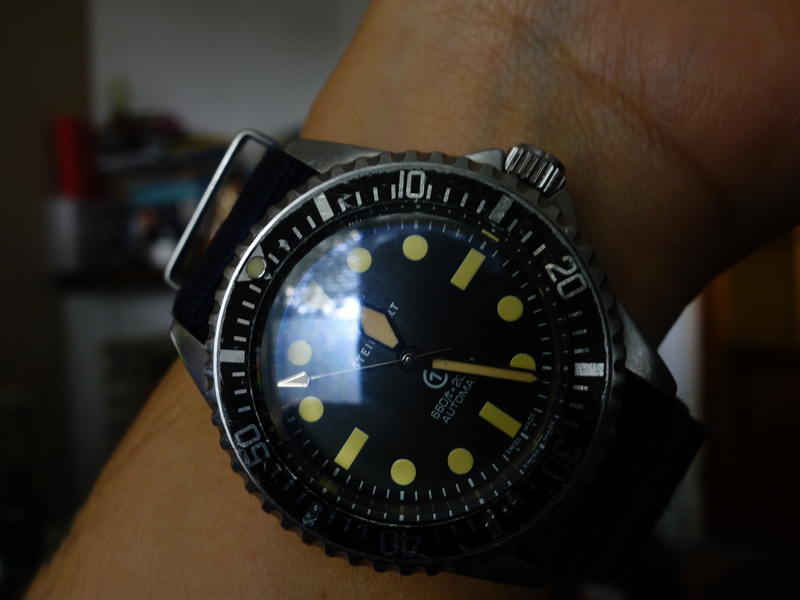 The Steinhart is an automatic. It works because your pulse and movements drive it directly. It does more than tell time. As you live it works and the watch becomes an extension of your senses, be it mechanical. It is easy to polish up the watch, give it some new shiny parts and it will look like new and expensive. I prefer to keep it looking like a watch that actually sees action. I wear it daily, check the time and it sees wear and tear. The Steinhart is tough. It does not stand out too much and simply does its job. Sometimes something can be more than its specifications. The Submariner existed because it was built to specification for the armed forces. Product placement and James Bond did the rest. You know, marketing. Posted in Short Reads and tagged brands, friendship, moment, Rolex, specification, Steinhart, story, Submariner, time, watches on October 26, 2017 by rura88.